Green Pea Protein Powder: Kidney-friendly? Posted February 5, 2015 in Featured Post, Tips, Tags: almond milk, calcium, milk, milk replacement kidney diet, milk substitute, Phosphorus, Potassium, rice milk, soy milk by Sara Colman, RD, CDE. Cow’s milk is naturally high in protein and minerals. An 8-ounce cup of 1% low fat milk contains 8 grams protein, 366 mg potassium, 232 mg phosphorus, 305 mg calcium, 107 mg sodium and 27 mg magnesium. Because of the high levels of potassium and phosphorus in milk, people with severe or total loss of kidney function (stages 4 and 5 chronic kidney disease) are generally advised to limit milk to 4 to 8 ounces a day. 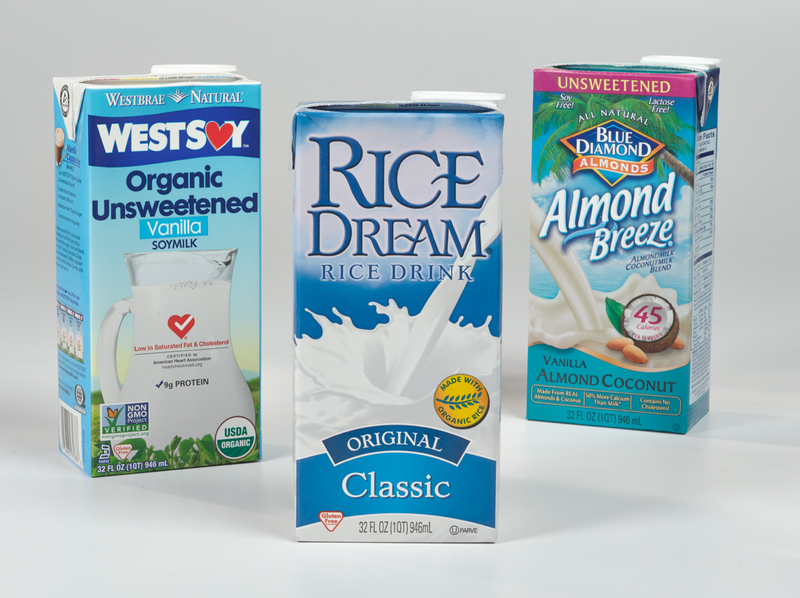 Non-dairy milk substitutes such as almond, rice or soy milk are recommended instead. Nondairy creamers were once a popular milk substitute, but most, if not all, now contain potassium and phosphate additives and have fallen off the list of recommended milk replacements. There are many product variations, even within a given brand–original or enhanced, refrigerated or shelf-stable, plain or flavored, sweetened or unsweetened. The best milk substitutes are usually labeled original; do not contain phosphate additives; and have less than 200 mg potassium for 8 ounces. Protein in nut and rice milk substitutes is usually much lower than protein in cow’s milk. Protein in soy milk is comparable to cow’s milk. Some manufacturers add pea and rice protein to increase protein content of rice and nut milk. Potassium varies greatly in milk substitutes. Soy milk is naturally high in potassium, ranging from 250 to 440 mg for 8 ounces. Almond milk ranges from 150 to 250 mg potassium, and rice milk is lowest with a range from 20 to 80 mg. For kidney patients, the best choice is often determined by potassium from blood test results. If levels are high, soy milk is not a good milk substitute. Almond, rice and soy milk may contain calcium phosphate, magnesium phosphate, or tri-calcium phosphate. Some brands contain multiple additives. It’s important to read the ingredient list with each purchase to find products without phosphate additives. Almond milk without phosphate additives is usually low in phosphorus, around 20 mg for 8 ounces, but increases 150 to 200 mg if phosphates are added. Most of the phosphorus remains in the almond meal that is separated from almond milk during processing. Rice milk without phosphate additives has around 50 mg phosphorus per cup, and ranges from 100 to 150 mg if enriched with phosphates. Soy milk is naturally high in phosphorus with 80 to 150 mg and increases to 250 mg when phosphates are added. Many products do not list phosphorus on the label, and for some the values are not available from food manufacturers. Calcium is often added to milk substitutes to mimic or exceed calcium content of cow’s milk. Several brands of almond, rice and soy milk contain 450 mg calcium for only 8 ounces, or 45% of the recommended daily intake. These are not good choices if calcium from blood test results is high, but not a concern when calcium is low or normal. Milk substitutes may not ‘act’ like cow’s milk when used in food preparation. For example, instant puddings may not thicken, and quality of baked goods may decrease when milk is replaced with a substitute. Nutrient content and ingredients vary with different milk substitutes, and the best choice may depend on potassium, phosphorus and calcium from blood test results. Talk to your dietitian for more information on the best milk substitutes for you. Sara is a renal dietitian with over 20 years experience working with people with diabetes and kidney disease. She is co-author of the popular kidney cookbook "Cooking for David: A Culinary Dialysis Cookbook". Sara is currently the Manager of Kidney Care Nutrition for DaVita. 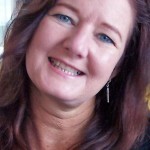 She analyzes recipes and creates content, resources and tools for the kidney community. In her spare time Sara loves to spend time with her young grandson, including fun times together in her kitchen. I have a question about the Rice Dream rice drink. It is listed on DaVita’s site as an alternative for kidney patients. I have tried all the low potassium milk substitutes I can find (almond/soy/coconut, etc.) – most are still high in potassium, or I simply do not like them (as was the case with Almond milks). Anyway, I saw that the Rice milk contains tricalcium phosphate, yet is listed on the site as a good substitute. So, is this version of phosphorous ok? I also tried the non-dairy creamers (Coffe-Mate original suggested on DaVita) but they contain dipotassium phosphate. So, I am rather confused as to whether or not I should be using either one. Being on a low-sodium, low-potassium, low-sugar, low-phosphorous diet is not easy! This is a great question. Milk substitutes can vary in the nutrients that are added to the product. Some brands do not have additives and some brands do have additives. It is always best to check the ingredient list to see if there is a phosphorus additive, “phos” in the word indicates an additive. Brands change from time to time, so it is always best to look for a product that does not have a phosphorus additive. Checking for the “original” flavor may help as well. Houston, we have a problem! My daughter is celiac and has tumours calcinosis so is on a trial low phosphorous, phosphorous binding diet like a kidney dialysis patient. This blog was, I think, helpful in trying to navigate the milk issue. She is also Down syndrome which complicates her food choices further, so any help like this that I can get could preserve my sanity. Thank you. Is flax milk harmful to the kidneys? The concern with milk and milk alternatives are phosphorus, potassium and calcium. Many companies do not test for phosphorus and potassium in milk alternatives. One tip is to look at the ingredient list for additives. For phosphorus additives, look for “phos” in the word. For potassium and calcium you will see “potassium” and/or “calcium” in the ingredient list. If you have a dietitian they can look at your blood results to see what your phosphorus and potassium levels are. If they are within normal limits, you may be able to incorporate flax milk. Is Mocha Mix a good substitute for milk? Also is it lower in potassium? Thanking you in advance. Mocha mix has about 20 mg of potassium in 1 tablespoon. However, dipotassium phosphate is listed in the ingredient list. If you are using more than the 1 tablespoon serving size, the potassium and phosphorus being added to your diet will start to increase. Many non-dairy creamers are now adding phosphorus additives, unfortunately. Thank you for your question. The brands can change up their ingredients at any time. The recommendation would be to look for phosphorus additives in the ingredient list. If you see “phos” in a word that is an additives and it is best to look at each brand to find the one that does not have added phosphorus. Another tip is to look for “unenriched” milk, generally these do not have additives as well. Organic may not be any lower, if they are also adding phosphorus for any reason. Even rice milk can now have additives, so it is best to check the ingredient lists. So , if you were heading into town to buy a low calcium , phosphate etc milk substitute for use with tea and cereals etc , what would you buy ? Thank you for your question. With so many brands changing what they are putting in their products, the recommendation is to look in the ingredient list for phosphorus additives. Any word that contains “phos” would indicate an additive. Looking for a brand without these additives is best. Most regular cows milk do not contain phosphorus additives; but have naturally occurring phosphorus. The recommendation for dairy products is 1/2 to 1 cup per day. Your dietitian or doctor can help by looking at your blood results to give the best recommendation. My husband has been told that his kidneys are bad and to eat a renal diet but wasn’t given information on what that would be. I need help with recipes and menus. You really need to meet with a dietitian who is knowledgeable about the kidney diet. Ask the doctor for a referral. Try the online meal planner, DaVita Diet Helper from the DaVita.com website. There is no charge and it comes with preplanned meal plans as well as over 1,000 recipes for the kidney diet. Janet, the dieticians do not give specifics. My husband is on stage 5 and on renal diet and that we pretty much researched and googled on our own. Apples, Blueberries, Pineapple, are good fruits, Cabbage, cauliflower, zucchini, red bell peppers, eggplant, onions, garlic, ginger, coriander, cucumbers, radishes, white rice, white bread, white flour tortilla, eggs, chicken breast, white fish or wild caught salmon in moderation to maintain the protein, lettuce and cabbage salad with rice vine sodium free vinegar dressing or apple, tyme dressing, homemade honey mustard is what we have incorporated for my husband. I also give him pearled barley water- boil one cup of pearl barley with 5 cups of water, with thumb sized cut up fresh ginger and one cinnamon stick, when the barley is soft, strain the water, add I tablespoon of honey and juice of 1/2 lime. Mix well and keep refrigerated- I give him this 1st thing in the morning before breakfast and once before bedtime. You need to make fresh batch every two days though. This seems to help him also. Sugar free cranberry juice with little water added after lunch is also in his daily diet. Now we are thinking to get some herbal treatments incorporated- someone told us to try activated charcoal and kidney supplements- and we are looking in Products- and made a call to talk to a herbalist -seems promising so will sure get few supplements to see what other improvements take place and maybe we will try acupuncture later who knows- whatever works to reverse, heal and get my man off these machines and maintain a healthy normal life without a transplant or dialysis. Mainstream science will never say this is possible but I not give up unless we have tried any other option and that includes prayers to our almighty Jesus Christ. Hope this bit helps you in your journey and whoever reads this- All the best to all. Thanks for sharing your experience and knowledge. One word of caution with supplements–some of them are harmful to the kidneys and may cause more decline in kidney function. Do not add supplements without consulting your kidney care team. Why just come out and say “Stay away fro ANY from of milk, animal or otherwise?” I LOVE organic soil milk (I’m stage 3B) and it’s miserable trying to figure it all out, rather like an alcoholic deciding on scotch, bourbon, or wine. It’s maddening: no milk, no potatoes, no tomatoes, etc. It’s almost not worth it. Sometimes knowing we can’t have something is torture. It may be possible to do a trade-off and have a serving of the food you really enjoy occasionally. Potatoes can be double-boiled to reduce potassium by about half. A thin slice of tomato on a sandwich or a few grape or cherry tomatoes on a salad are acceptable. There’s a Red Pepper Tomato Sauce recipe on DaVita.com that you may like as a replacement for tomato sauce. Finding the right substitutes or knowing your limits for including foods you really miss can make a big difference. That word “soil” should have been skim – I’ve been up all night staring at a glass of milk. I need a lactosponsor!!! I’ve read the post and Q&A twice and cannot find the error. Thanks for pointing it out–will look at some of the other milk related posts. I hear the next milk substitute coming out is peanut milk. But peanut is high in phosphorous. How are they going to make it kidney friendly? The process of soaking the nuts in nut milks and the process to turn it into milk, can actually take out some of the phosphorus in the final product. I see all milks discussed but coconut milk! How does that work in milk or cream recipes?? As suggested, stick to coconut milk products that tell how much potassium to be safe if you are on a low potassium diet. I found a Thai coconut milk that list ingredients as coconut puree ,water and gum. Sounds perfect! I made a gourmet carrot soup with multi-colored carrots (boiled and chopped) 1/4 of onion chopped and boiled with carrots. When carrots were soft i chopped them but was unable to puree so it is a little chunky. I added !/2 c of the milk, 1c unsalted chicken stock and seasoned with Rubbed sage, Mrs. Dash, Cracked pepper. Picky hubby liked it!! Your recipe sounds wonderful. One word of caution–coconut milk usually from the can has over 450 mg potassium. Coconut water is also very high in potassium. 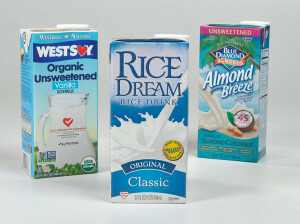 The coconut milk in the carton similar to almond milk is much lower in potassium–around 50 to 100 mg/cup. Always check the label and if in doubt you may want to avoid it if potassium is an issue. Fortunately manufacturer will be required to add potassium to the labels starting mid-2018. When will manufacturers be required to add phosphorous to the labels? It is a real pain trying to find how much phosphorous is in a product and many times, I am not successful, no matter how much I try. There are many advocates trying to push this process. The FDA approves what is on the labels for food products. Many groups are advocating and pushing the FDA, but it may take several years and maybe several studies to push this through. It definitely makes it a challenge to balance the diet for phosphorus. What we do in the mean time is read the ingredient lists for phosphorus additives and try to avoid those as best we can. I am a dialysis patient. Potassium and phosphorous levels are a constant battle. I am a milk lover. Where can I find an accurate side-by-side comparison of the potassium and phosphorous levels in the various types (Almond, Rice, Soy, Hemp, etc). and brands (Almond Breeze, Silk, Dream, etc) of milk? Unfortunately there is not a good “go to” list for this. One reason is that the manufacturers can adjust and change their nutrients at any time. The best way to be sure you are avoiding a high amount of phosphorus in a milk substitute is to look at the ingredient list. If “phos” in any form of the word is present that is a phosphorus additive. Brand to brand and flavor to flavor it can be different, which is why you always have to check. I apologize for the late reply. It can be very challenging and you are not alone. If you are on dialysis, here is a great resource for the kidney-friendly foods on dialysis. My mother is on a renal diet, but has oxalosis also. She was using rice milk to make her pea protein drinks until learning recently that it is made from brown rice which is high in oxalates, so that is not allowed; neither are soy, almond, coconut or cashew milk. Do you know if pea milk (made from green peas) is high in potassium? We’re hopeful it will work for her as it is said to contain as much protein as cows’ milk but not sure about added potassium. Pea protein milk is a newer product. In doing research it appears that there can be anywhere from 330mg to 450mg per 8 ounces cup in pea protein milk. That would be considered high for a renal diet. Regular 2% cow’s milk has 318mg potassium. Informative in planning diet for Kideny patients. Does Davita produce a list of low potassium foods with the amounts beside them. My thinking is that you should be able to search the list both alphabetically and by potassium levels. There is not a list available, but DaVita Diet Helper has a nutrient analyzer. It is free to join and you can search the foods you are looking for and their nutrients. The dairy free milk and fruit juice would be acceptable as long as your potassium and phosphorus levels are within normal limits and you do not have diabetes (the sugar content would be higher). Mixing tonic water and juice may help decrease the amount of sugar and potassium you would be getting. There are many flavor packets or flavor liquid drops available, but they do contain sugar substitutes or sugar alcohols. I have Stage 3 ckd. I have been able to keep my potassium levels in check , but have also bee told by my dietician to keep phosphorus levels within 700mg.per day . I purchased Silk coconut milk 45 calories . The potassium and protein contents are very low , but I am unable to find the phosphorus content . Is coconut milk high in phosphorus? There are different types of coconut milk. The traditional coconut milk that comes in a can is very high in potassium. However, there are now coconut milk blends in the carton in the cooler, that are much lower in potassium. As far as the phosphorus level they do not always provide that information on their label or their website. Typically can run anyway form 80-150mg. The best thing to do is look at the ingredient list to be sure there are no phosphorus additives (look for “phos” in the word). If there are no additives it will be a lower phosphorus option. I have a 6 month old with Multicystic dysplastic kidney. I have lost my milk supply, and am having a hard time getting it back. I am concerned about giving him commerical based dairy formula. Do you know if there’s one that would be better than the other? I have looked at goat’s milk formula, because I have heard the proteins break down better. I am COMPLETELY LOST ON WHAT TO DO. I have tried to get advice from his Nephrologist, but no one will point me in the right direction with this concern. Any advice you can pass on, would be much appreciated. You may be able to get help from a pediatric dietitian who works with kidney patients. Does the nephrologist work with a dietitian? If not Do an online search or ask your doctor for a recommendation on a pediatric dialysis or kidney care center. Contact them to see if a consultation is available. Hi, I have low calcium counts and need to find a supplement. I drink almond milk and take daily vitamin d supplements. I have kidney stones and fatty liver and Crohn’s. Can you suggest the best supplement? Thanks. I cannot recommend a product–with all your health considerations this should come from your healthcare team. No it is not promoted as a product good for kidney disease, Flax milk is fairly high in phosphorus with 150 mg per serving. Potassium content is not listed on the label. My father loves milk but is on dialysis. I wondered if oat milk was better. His potassium levels are high at the moment. It is very difficult to find out the levels. The potassium will vary by brand. I recently purchased oat milk with 190 mg potassium for 1 cup. Regular milk has approximately 350 mg of potassium. When the time to use coconut milk if I have abs?? Answer normaly and thank you for answering. I’m not sure what you mean by abs. Some coconut milk brands are high in potassium. Check with your dietitian to see if you can safely include it in your diet. Actually kidney patients can have many of the items on your list. A kidney diet is not a no sodium, no potassium, no protein or no phosphorus diet, but rater a goal for these nutrients based on an individuals stage of kidney disease, lab results and nutritional status. That’s why it is so important to work with a dietitian to create a meal plan that includes your favorite foods and helps keep your blood results in the normal range. And yes, if you start cutting everything out of your diet you most likely will become malnourished. How is the potassium level compare in pea milk, hemp milk, coconut mlk, and rice milk? Also, are pea milk and hemp milk okay for people with a low potassium diet due to kidney failure? Thanks!